We recently wrote an article about how only 2% of gamblers make money. Within this elite group, there are an even more select number who actually make a living from their gambling. And even fewer who do so from betting on football. Below we’ll take a look at some members of this very select group – famous professional gamblers. We’ll also have a look how they have gone about making a living from betting on the beautiful game. Born in Glasgow in 1966, Angus Loughran is well known as a sports pundit and commentator focusing mainly on football and horse racing. He attended Ampleforth, a public school in Yorkshire. As with most public schools, rugby was the main sport, and Loughran discovered his niche was commentating and taking bets on the touchline. His first taste of fame was at the Oval cricket ground. The English batsman Chris Tavare, nickname the tortoise and allegedly the slowest batsman ever to play for England, was boringly blocking every ball he faced. For a £300 bet, Loughran ran to the centre and offered him a stool to sit on. The crowd erupted into laughter. He became famous as the resident statistician on the Fantasy Football Show where he was known as Statto. Football and statistics remain close to his heart and have won him many significant bets, and what he has to say on the subject guides many semi-professional football betters. He claims to have contacts at every English football club with whom he regularly exchanges information. He says he attends around 100 matches a season. Nowadays he bets mainly on goals. He thinks the bookmakers have got it wrong as they appear to price every game the same, while he carefully analyses the situation and couples together high-value trebles where he can get odds of around 7/1. It hasn’t always been an easy life. In 2008 he was made bankrupt over a debt of just £5,700 to Sporting Index incurred through various spread bets. Tony Bloom, aka the Lizard, is the chairman of Brighton and Hove Albion and keen gambler, poker player, and property investor. He claims to have been a football fan and gambler since the age of eight, and that both obsessions have grown side by side ever since then. A keen supporter of the club, he acquired a 75% stake in it and invested £93 million in developing its new stadium. In total, he has In total he has spent £250 million on the club from his personal funds. Born in 1970 of Jewish descent, he attended the £23,000 a year Lancing College, a private school close to Brighton. Using fake ID, he would sneak off to place bets in betting shops when he was only 15. He studied mathematics at Manchester University, worked as an accountant, and in the City as an options trader. He then decided to become a professional gambler. He made much of his wealth, now several billion pounds, from setting up online bookmakers and poker websites. He has also won around £3 million at poker. Today his is the money behind Starlizard, a huge and highly secretive gambling syndicate that places bets on behalf of well-heeled clients. Officially a gambling consultancy, it uses a range of sophisticated statistical models to beat the bookies regarding betting odds, and it sells the results to clients. Not only does Tony Ansell restrict his gambling to Football, most of the time it is Scottish football that attracts his attention. It works out lucratively too, over the last twelve years he has won over £1 million betting on the first, second and third divisions of the Scottish Football League. Before becoming a full-time professional football better, Ansell was a chartered accountant, which gave him a proper perspective on managing money. He now applies the same principles to beating the bookies, a sport even closer to his heart than the glorious game. Not that he finds beating the bookies particularly easy; the problem is they tend to severely restrict his accounts. In the early days of bet365 he staked £100 on a treble and after it came in the bookmaker reduced his limit to £0.67p. He is always hungry for information and makes the best use of any that he can obtain from players and other sources. Fundamentally he is a mathematician and has an uncanny ability to spot when the bookmakers get prices wrong; they often did, he says, they just don’t do enough research. He points out that in the last few years things have changed. Bookies have tightened up their act and opportunities are harder to find. Nowadays much of his betting is on the Asian handicap market. Typically he bets between £3,000 and £4,000 on a match. Now in his early sixties, Dirk Paulsen is a successful gambler, an accomplished mathematician, and football fanatic. Mathematics underpins his approach to football betting and, he says, he leaves nothing to chance. He had developed his software, a project he began in college many years ago when he was studying for a degree in mathematics, and which he completed in time for the 1990 World Cup. During the World Cup, it proved sufficiently successful for his to leave his job as a computer programmer and become a full-time football gambler. He refuses to be guided by gut instinct. He determines every bet he places using a combination of statistics, science, and mathematics. That’s not to say there is no element of luck, but to Paulson luck is factored into his equations. He claims to be able to measure a team’s luck from their tactical approach to the game. He admits that it’s a high-pressure life, but he makes sufficient money to support his family comfortably; a tough life, but a successful one. Want to take your football betting to a professional level? 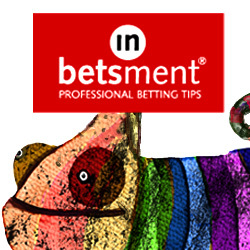 Then check out this top football tipster who has made over 500 points profit. Very interesting. I know just Tony Bloom form this list. How do you think, are there any such successful players now, but much younger? There probably are but they are just not as well known. With the internet now people tend to take a bit of lower profile. Football betting is tough but a few have mastered it.